Amazon has reached that point where the only one it needs to beat in the competition is itself. With Amazon Prime Now service, it is possible for one to make purchases from your comfort zone and have them delivered almost immediately. Before the Prime Now, members of Amazon Prime enjoyed the free two-day shipping policy that came with it on all orders. What the Amazon Prime has achieved is the elimination of the biggest problem with online shopping; the delay in the arrival of your purchases, sometimes taking even more than a week. When Amazon Prime first came into existence, there was the feeling that nothing else could ever be better, until the Amazon Prime Now. The thing, however, is that it is not in all the states of the United States that the service is currently available. Beyond the US, there are other parts of the world where the service is also active. As pointed out above, Amazon Prime Now is a service that helps buyers to order for products from the e-commerce giant and have the products delivered within two hours. The service covers a lot of things from household items to electronics, gifts, groceries, and much more. Because the service is not yet available in many areas, you will need after visiting the Prime Now website to put in your zip code and then you will be notified if it is available in your location or not. The service is an added benefit of Amazon Prime introduced for faster delivery. With that said, Amazon Prime Now has a standalone website as well as a mobile app which you have to install differently from the Amazon mobile app. It was introduced in 2014 and has since expanded to more states in the US and countries across the world. The way the Prime now works is pretty much straightforward. The first thing you want to do is to have the app downloaded, whether you are using an Android or iOS device. You can also go to the website and have your transaction done. 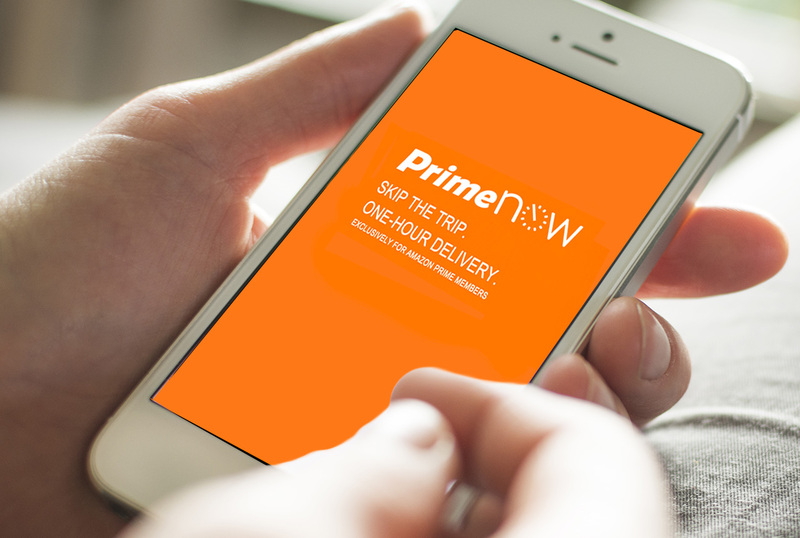 Before you go on with downloading the app, you may need to go to the website and see if it is available in your area because as already stated, Prime Now is only open to some of the major cities and metropolitan areas in the US including Atlanta, Austin, Baltimore, Chicago, Dallas, Houston, Indianapolis, Las Vegas, Los Angeles & Orange County, Miami, Minneapolis & St. Paul, Nashville, and New York City. If your area is included and you have downloaded the app, you will be able to buy most things, but one will not expect to have all the things you will get on Amazon’s main store here. For the products that are available, you can order for what you want between morning and late evening every day of the week (7 days) and have it promptly delivered. With the app downloaded and installed, you will not need to register again if you already have an Amazon account as you can simply use your Amazon credentials to log in. On Prime Now, you will be required to select the store from which you want to shop before making the order. Even though for most of the things you order from Amazon the delivery is mostly either made by UPS, FedEx, etc, it is different with the Amazon Prime Now which in order to have the delivery made on time, it is done by Prime Now employees through their drivers. One other thing that is good with the Prime Now is that you can also take advantage of it and make order from a local store or restaurant that is also provided. If the order made is from a restaurant, you will have it delivered within an hour. Although it is designed to have your delivery made within 2 hours, there are times when you will not find those windows so you may have to get your product in another window which may have your product arriving much later. However, the two-hour window will still be maintained. For example, if you are ordering groceries at 10 am but the only window available is between 12:00 PM and 2:00 PM, the delivery of the product will start reading from 12:00 PM and not 10:00 am. For Amazon Prime members, the Prime Now two-hour delivery comes at no additional cost with the annual $119 Amazon Prime membership fee which you may as well decide to pay at $13 a month. You can opt to have the product delivered to you in an hour, but that will only cost you more by up to $7.99. For the products you are ordering in the two-hour window, it will be delivered to you for free. After making your order, there is an option for you to tip the delivery person. At the tip section, you are made to understand that the tip will be handed over to the courier entirely, and there is an automatic suggestion of a $5 tip which you will find there. You have the option of either taking off the tip entirely or leaving it as it is. Also, you can decide to add the tip to what you want and review it within 24 hours after the order is made. Do you have to tip for Amazon Prime now? No, it is completely optional, but Amazon suggests $5 which you can decide to take off. You will have 24 hours to make any changes to the tip. Is there a charge for Amazon Prime now? For the two-hour delivery, you will have it delivered at no cost, however, when you are making an order to be delivered in an hour, you will be charged $7.99 per order. Is Prime Now included with Prime? As indicated above, Prime Now is a benefit of Amazon Prime. More so, as you will find stated on the home page of Amazon Prime Now, the service is exclusively for Prime members. 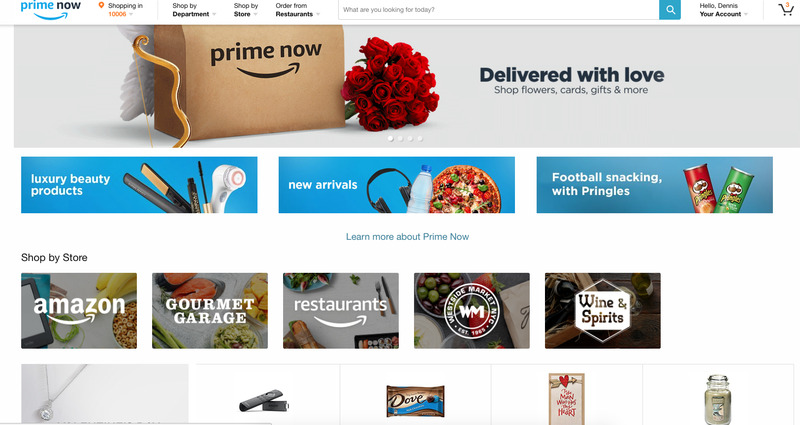 When was Amazon Prime now launched? The program was launched in December 2014 covering parts of Manhattan and New York City. By 2016, it was expanded to other parts of the United States before going on to be included in other countries outside of the US such as the UK, Italy, Spain, Japan, France, Germany, and Singapore.